The earth star plant makes a very interesting indoor houseplant with bright, multi-colored leaves. The species (Cryptanthus bivittatus) has rich colors of copper with silver or pink stripes, and greenish-brown leaves with pink stripes. And then there is the 'Pink Starlight' type which is tricolor. There you will find hues of pink flush right at the center of the rosette. The plant also has small white, insignificant flowers at the center enclosed by bracts. It is a member of the Bromeliad family, but unlike many other bromeliads, earth stars grow in the soil. The plant is so-named for its low-spreading rosettes which form into the celestial shape of a star. The plant is a native of the rain forests of eastern Brazil. It likes high to moderate humidity and it is also known as the Starfish Plant. 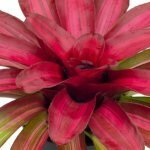 For decorative purposes, they make wonderful accent plants displayed on table tops, as most of these rosette-forming plants are under six inches tall. They also make beautiful centerpieces in small decorative pots. 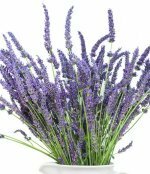 They thrive in well-lit rooms with high humidity such as bathrooms or kitchens near the sink. 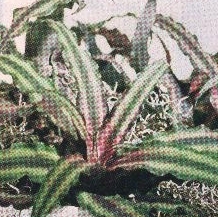 Cryptanthus are grown for their bright and colorful leaves rather than for their flowers which seem to be hidden. Light: Bright indirect light or diffused sunlight through a curtain is necessary for the most intense colors to develop. If your plant does not get the appropriate amount of light, it will begin to look light green in color. Too much direct sun can cause faded or sunburned spots to develop on the plant’s leaves. Temperature: The plant prefers average to warm temperature. they thrive in temperatures between 60 and 85 degrees Fahrenheit. Humidity: Cryptanthus generally make excellent houseplants, but they prefer higher humidity of about 50%. If you use central heat or air conditioning, the forced air has a tendency to be drier. Mist plants occasionally with tepid water or place them on a pebble tray. A room humidifier would be ideal for increasing moisture levels. Potting Soil: The growing medium should be a loose, porous mixture of equal parts potting soil and fine grade fir bark. Watering: For best growth keep the soil evenly moist, not wet. Overwatering could cause the plant to die from crown rot. Always drain excess water. Water moderately during the growing season, and mist with tepid water on a regular basis. Provide less water in winter. It should never be allowed to totally dry out. Fertilizing: In order to maximize growth add a slow-release fertilizer to the potting mix and feed with a liquid fertilizer solution diluted down to a quarter of the strength when you water. Propagation: Pot your new earth star plant from offsets or pups that sprout from the leaf axils of the mother plant. Remove the pups from the parent plant with a slight tug. Then insert the pup’s bottom stem tip into potting soil and firmly pack the soil around it. Keep the soil moist in warm conditions and it should root easily.